Welcome to all collectors! 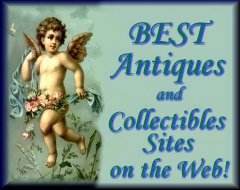 Over 1,900 Items Online including: Ephemera, Books, Magazines, Advertisements, Photographs, Sports Memorabilia, Historical Documents, Billheads, Playbills, Antiques and Collectibles. Antique Hangups has been online since 1997! We are now offering ***FREE Shipping*** Within the Continental USFor All Orders over $30.00!!!! Shipping outside of the Continental US must still be determined by destination. Names, Marriages, Events, Dates and Places from Ephemera collected by MJ's Antique Hangups. Find a relative or an event! Special Items of the Month! University of Chattanooga 1927 Yearbook: The Moccasin. The Congressional Globe - April 25, 1862 - Debates in Congress about the Civil War! Antiphonarium (Gregorian Chant) music from early 1700's. Looking For Something Special? Use our Search Link To Help Find It! Wonderful Research Tools for Essays, Dissertations, or School Reports. Original Articles from the late 1800's to mid 1900's - Not Reprinted. Cabinet, Carte de Visite and Vintage Photos. Paper items grouped into collections. 19th and Early 20th Century Bills and Letters with Graphic Illustrations and Logos. 19th and Early 20th Century Personal Letters. Playbills from theaters throughout the country. 19th and Early 20th Century. Scouting Memorabilia, Lodges and Fraternal Orders, Masonic, Political. Entertainment, Elvis, Trade Cards, Wedding/Anniversary Announcements-Invitations. Railroad, Autos, Sports, Travel, Historical - City Booklets, Pamphlets. Dairy/Agriculture Items, Military and All Wars, Nautical and Municipal Bonds. Checks, Insurance Papers, Maps, Unused Vintage Greeting Cards, Prints and Photography. Medical, Catalogs, Blotters, Education, Stereocards and Crate Labels. Advertising, Hotels, City Views, Military, Natural Disasters, Western, Dams, Etc. Children's, Non Fiction, Cook Books, and Fiction. A list of old magazines and newspapers for sale. New Expanded Version! Authentic and Original (No Reproductions). Many wonderful ads from all eras and a large variety subjects. These ads are suitable for framing. Non Paper Items including Records, Spoons, Collectibles, Disney Collectibles, Sewing, and Old Bottles. Non Paper Items including Fishing Items, Vintage Printing Plates, Salt and Pepper Shakers and Odds and Ends. Brand-new books at a fraction of the cover price! How to order the items you see here. Looking for something special? Try our Wish List! Learn about this talented group that performs throughout the Mountain Empire (Kentucky, Tennessee, North Carolina, and Virginia). Hear samples from their latest CD! 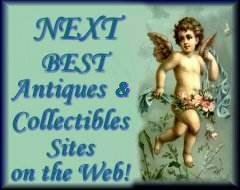 Member of BEST Antiques & Collectibles Sites on the Web! Winner of the Golden Banner Award! Winner of the BizCardz Business Directory Quality Site Award! Other awards we have been honored to receive!